Forty-seven (47) BOTSFA members travelled to Botswana to spend time together in Gaborone during the week of September 25-30. Most members of the group participated in the Programme, as detailed below, while some used the time to visit other places and friends in and around Gaborone. 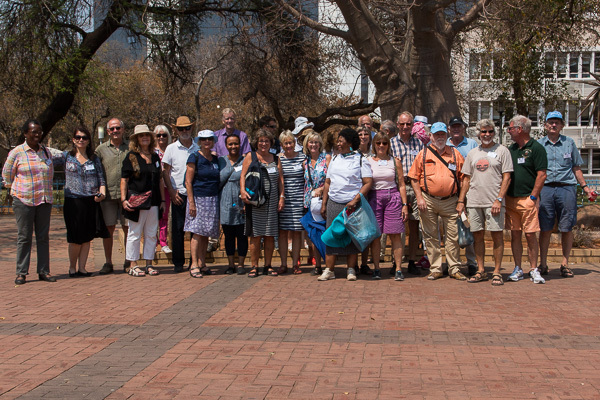 Thereafter, some participants returned to Sweden while a number took advantage of the visit to go on wildlife safaris or other places of interest within Botswana or in neighbouring Namibia and South Africa. All in all, a memorable BOTSFA trip!